Through an assessment of your job requirements (including knowledge-base and skills) and the use of DISC profiling (explained below) to identify personality traits and motivations, we will help you to quickly, and efficiently identify the job profile (the type of position) and the personality profile (the ideal candidate) to fit your vacancy. When it comes to hiring the right people at the right time, you need to have a greater understanding of candidates before they end up working in your business, face-to-face with your team and customers. A comprehensive DISC profile (which considers behavioural traits including: Dominance, Inducement, Submission and Compliance) will provide you with each candidate’s strengths, challenges and motivations. See our DISC profiling page [DISC Profiling] for more information. 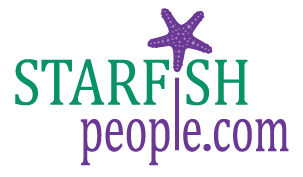 No matter what your sector or job role requirements, Starfish People can create a job advert for you. This will not only comply with employment legislation but will also include key words identified by DISC profiling (explained above) to attract the most suitable candidates for your job role. Then, we can advise on the best places and platforms for you to advertise your job vacancies in order to yield the best results. head to the exact qualities of the candidates I was looking for. It was like magic!" A client who came to us for recruitment advice and wording for a recruitment advertisement in Chichester. Our sifting process, using robust criteria to sort through CVs and create a shortlist, will leave you confident that we represent your company to the highest standards of equality and fairness, protecting your business from employment tribunal claims. The size of your company will determine whether the sifting process requires help from technology via HR software such as a recruitment management system or manual sifting is sufficient.  Should you prefer to sift through candidates yourself, we’ll provide you with the necessary documentation and HR support. To help you benefit from impartiality and the fairest possible recruitment process, we can join you in your office or by conference call during interviews and assessments. Alternatively, we can provide professional HR training and business coaching for you and your team beforehand. Either way, we’ll provide you with a tailored interview pack. This will include relevant questions and a case study relating to the role, so that you can visualise your candidate in action, as well as a marking matrix to help you objectively reach that final decision. Once confident you’ve selected the right candidate for your role and the relevant employment checks have been made to protect you and your business, we’ll provide you with a welcome pack for your new team member. The welcome pack will include an offer letter, a written statement of your terms and conditions of employment and a copy of the employee’s DISC profile.